CeMAT is on the same location as Hanover Messe. While it is quite a bit smaller, it only includes material handling equipment, tools and services. Many interesting companies in this field were presenting their products and vision of the future. Material handling in logistics and manufacturing is one of the focal points of Accerion’s positioning solution. 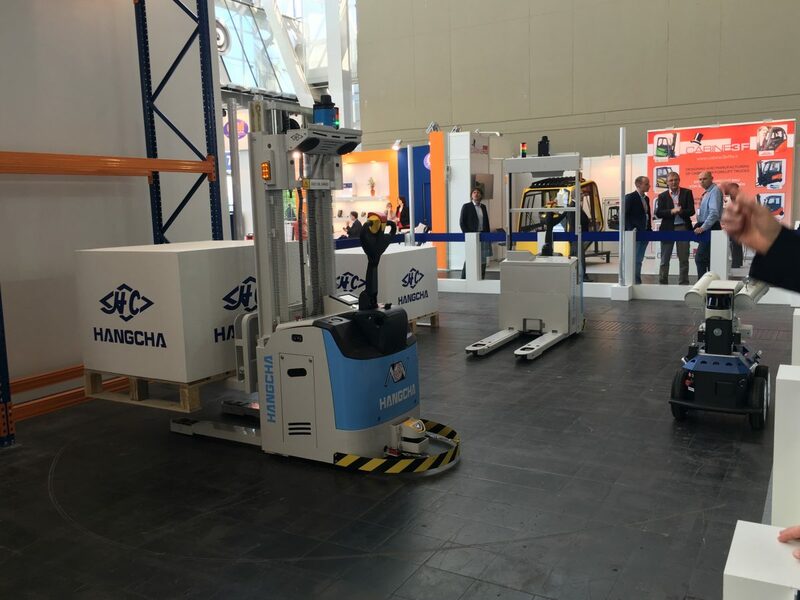 It was interesting to see how many manufacturers are now looking to automate their forklifts, heavy lifting and other transport solutions. I was quite surprised however that some manufacturers indicated that they don’t see automation happening. One day was enough to cover most ground and contact the companies and people on my list – plus several interesting companies along the way.